I have been trying to pay much more attention to the products that I am using and buying and by that I mean, making sure I am as cruelty-free as possible. But I have also been trying to find more vegan products which is where this brand comes in. 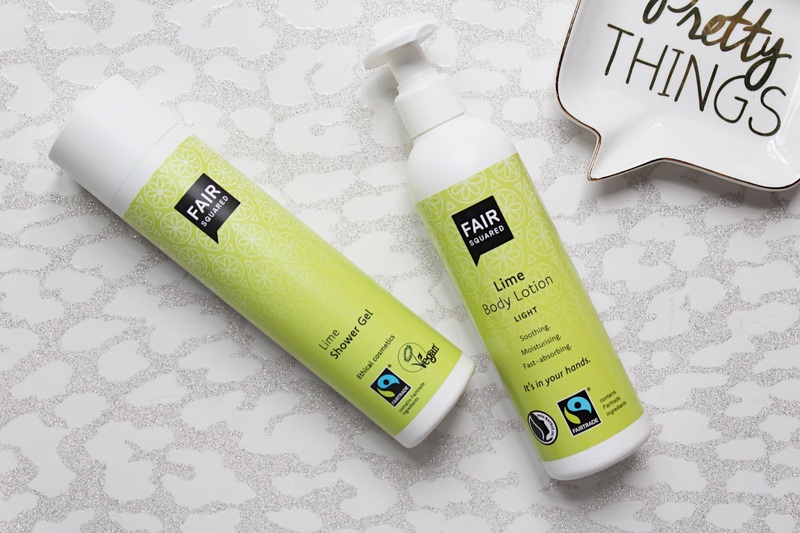 I had never used of Fair Squared before but I have been really enjoying these delicious lime products. 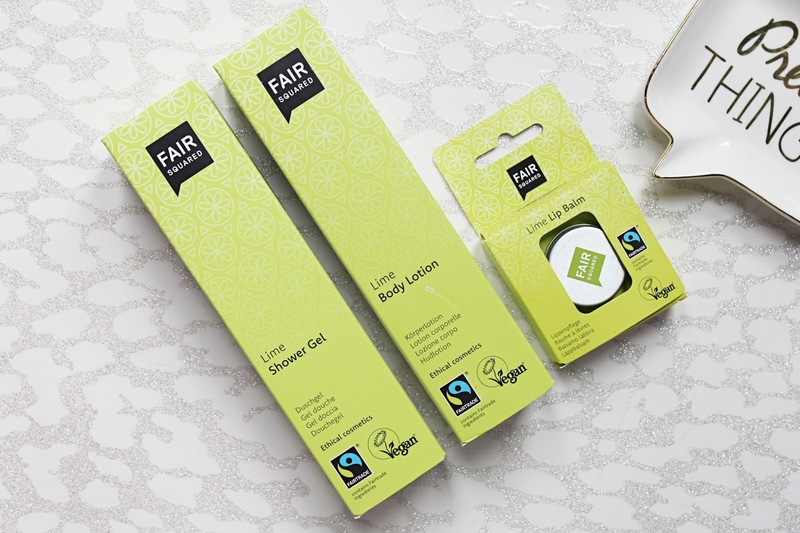 These three products from Fair Squared are all lime scented which each of them being vegan-friendly as well as being fair trade. I like to try and by fair trade products as much as I can so I was excited to try out this trio of products. The scent is lovely yet refreshing and I can see myself using this a lot especially in the Spring/Summer when I am all about fruity scents! Each of the three products I have been trying out, come in lime green boxes and the two larger products features white packaging and the lip balm comes in a pocket-sized tin. The first product I have been trying out is the Shower Gel (£12.95). This has a very energising lemony fragrance to wake me up in the mornings (I get up at 5 am most days so I need all the help I can get!). It contains no SLS and has the power of olive oil to create a shower gel that is soothing on dry skin. I have been using this for a couple of weeks now and I have become a big fan of the product. It isn't harsh on the skin and it does a great job at not only leaving my skin feeling clean but at not stripping it of moisture. Some shower gels I have tried lately have been cleaning my skin too much to the point that it feels slightly uncomfortable but that isn't the case with this one! After I have used the shower gel, I like to follow up with the Body Lotion (£12.95). This has a lighter fragrance but is just as refreshing on the skin. This is very nourishing on the skin but I love that it doesn't leave my skin feeling greasy or oily once I have applied it. It sinks in super quick and gets to work to give me the softest skin ever! I usually hate body moisturisers but this has quickly become a favourite. It is packed full of nourishing Grape seed oil and Olive oil and also leaves the skin looking a little more radiant. The final product I have been using is the Lime Lip Balm (£4.95) and I have been keeping this by my desk to keep my lips feeling soft all day long. This is really great on dry, chapped lips so I know I will be using this so much during the winter. This product has been made using ethically sourced natural and organic ingredients like almond oil, apricot oil, coconut oil and cocoa butter. The main thing I like about this lip balm is that it actually provides long-lasting moisture for the lips, with some lip balms I have used they will make the lips feel hydrated while it is on the lips but they can actually feel drier after it has worn off but this is keeping my lips hydrated all day every day! 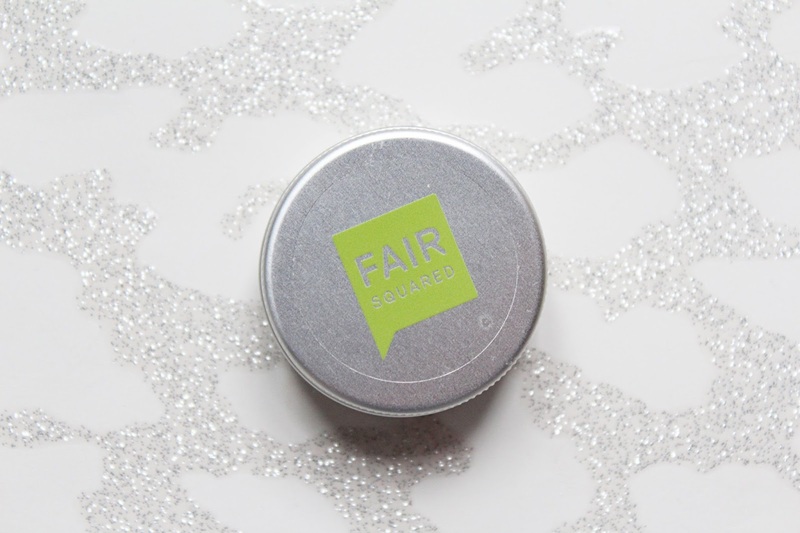 You can find Fair Squared - HERE.